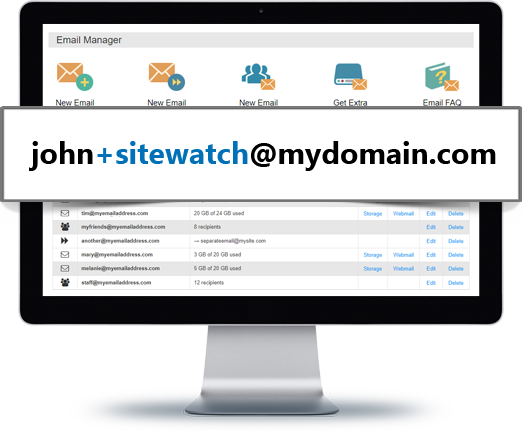 Get custom email address with any of your domains. 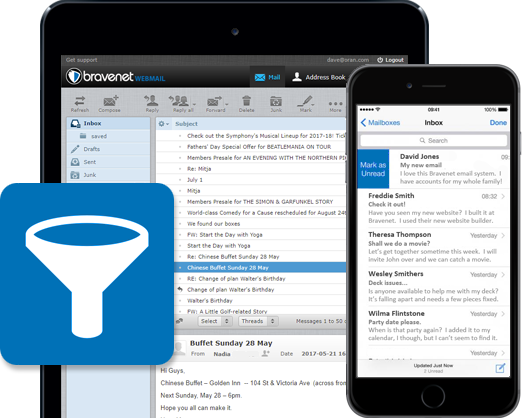 Bravenet is a leading provider of top-tier, feature-rich, professional e-mail communication solutions. 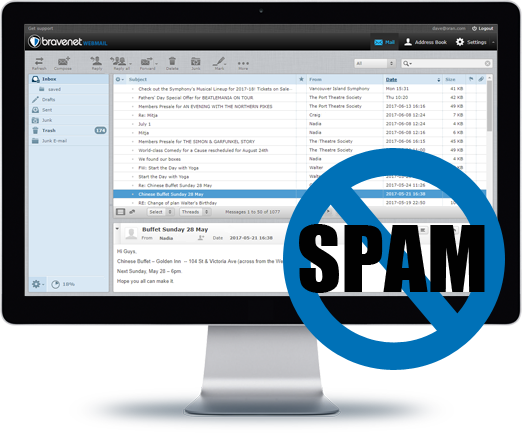 Bravenet's mail servers use a unique combination of spam and virus filters to keep your account free from unsolicited and malicious email. Our smart spam filter learns over time and becomes increasingly adept at filtering out spam before it reaches you. 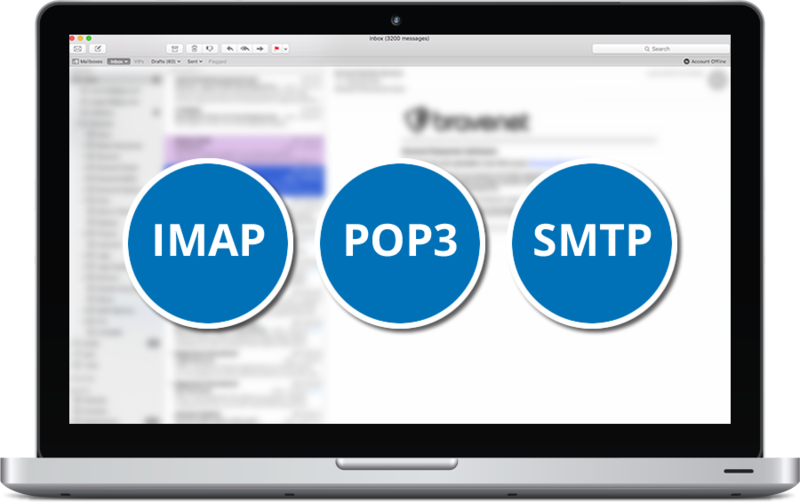 We support the IMAP, POP3, and SMTP standards, which work for all email clients. And your email is secured with SSL/TLS encryption to protect your security. How cool are Plus Addresses? Super cool! 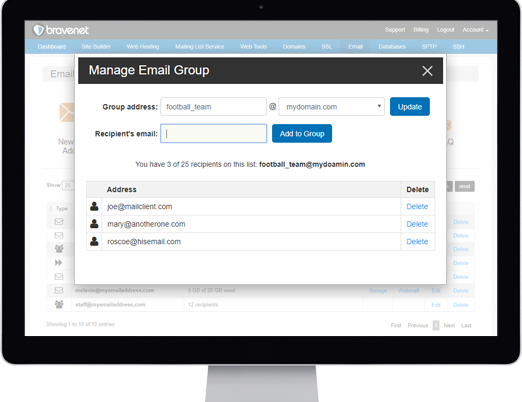 Bravenet provides built-in support for special plus-tag email aliases that will send to your main account. Just add + tag and special name right before the @ and you now have amazing control - and we'll teach you how. Want to filter incoming mail into separate folders or forward inbound mail to another address? Our easy email filtering system has it all! 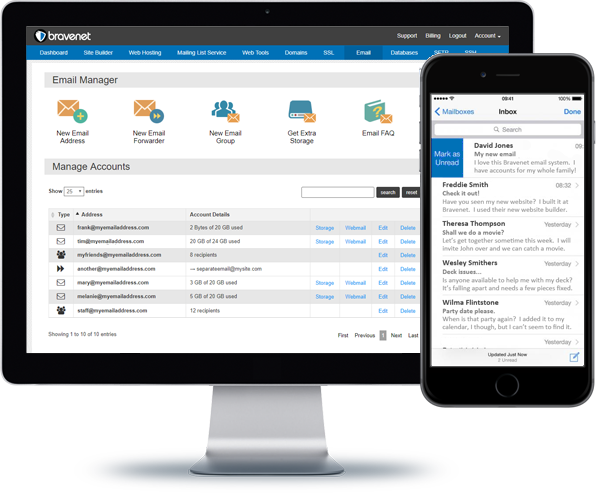 You will have full access to all your email, as well as all your filters and settings, from our powerful web based email client. Did you forget to set a Vacation Notice? Remote webmail access to the rescue! Setup aliases to send to different email addresses, and set up group email addresses where one address sends to many addresses on the list. addresses for all your domains. Android, iPhone, Outlook, Thunderbird, etc. robust anti-virus and anti-spam firewalls. are always happy to provide assistance. allocate additional storage per account. 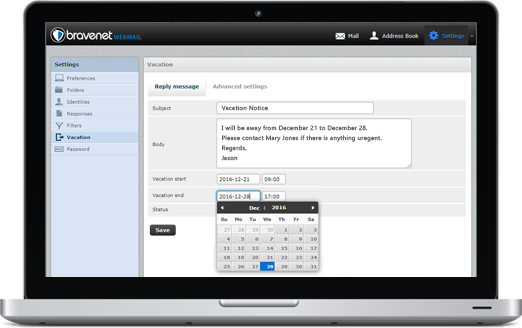 anytime via our Webmail interface. All supported, and secured with SSL/TLS encryption to protect your security. or set up a group of many email. email account maintenance so simple. Your site will be live in no time! All plans come with FTP hosting and Site Builder.